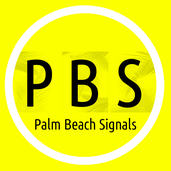 About me Palm Beach Signals from professionals traders. Massive movement prediction to July 2019. Bitcoin will touch 7150 on first dates of July. Waiting for decrease total crypto market cap. And moving inside triangle pattern. Bitcoin is slowly falling. Now we are waiting for retesting of the zone 3550-3600 and bounce after. Bad move. We are falling. Good news. It's time to short here! All attention to the bottom line of the triangle. If we broke this support we going to retest 3220 level. But if not (and it's more priority way, fat arrow on chart) we expect a fast upward impulse to 3940 and more. Two ways: 1. More preferably. It does not break the downtrend and is going to retest the level 115. Does not exit the triangle. 2. Break the downtrend line and exit the triangle for rise up to 135.